It is hard to say when the realization came, that this just might just be a great place for a recent retiree to learn more about his new home while also offering assistance as well. 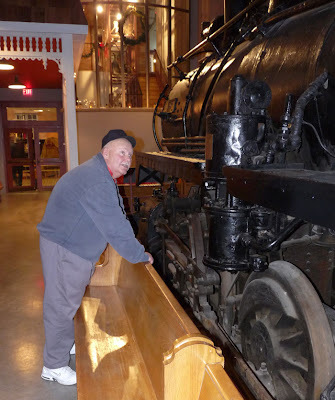 Whatever the case he now enjoys his volunteering there and finds time several times a week, to take school kids, and those a great deal older, on informative trips down its many tidy hallways into splendid display rooms bursting with interesting artifacts and history. When we peer back over our shoulders at our lives, our past can often appear as a vast hazy blur of unconnected events. Though always happening in a linear time-line they all eventually tumble into a great well of our own personal histories. Our minds have no particular need to Catalog or keep records of each and every one of our experiences in any particular order. Great and significant events end up mingling with the mundane. We have profound moments of sparkling clarity, either illuminated by the glow of achievement or cast by the shadow of undistinguished failure. We can recall things spoken in both love and in anger and times when we wished we could pull back and erase events and others in which we wish could linger again and again. Our own personal histories can either be judged by the world as insignificant or in but a few rare cases, momentous contributions. Regardless every act and every moment leaves its imprint upon the world stage. In turn as much as we touch the world it too shapes the life that we have now. In each new ever evolving moment a new history is conceived that blends and is bound into the fabric of our lives. For most of us the world cares little about the minutiae of our lives. We can never correct or alter what has happened in our lives and yet our past is the foundation of what we can and must yet accomplish with our lives yet to come. In the grand scheme of things the past of just one individual may not mean much to the world or even one small community. The collective events and experiences of many lives clustered in a small region however is quite another matter. History’s ability to document and understand the past is always a great and significant undertaking. If we cannot see importance in our own lives than often what happens to the greater world around us can take on greater significance and importance. When the scope of our lives extends beyond our skin, beyond our immediate family and the boundaries that we so often set, and dares to include the greater world than we open ourselves to a much greater life experience. A museum is a place where the collective past can be carefully researched and shared. History is no longer some indecipherable vast formless maze. The past is laid out clearly. Each new artifact, and each carefully annotated display allows the viewer to gather another fragment about the past. To build a better and clearer understanding about a place and its people. To see what great moments they had to endure and also to celebrate. Hopefully as one browses the compacted landscape of a museum, one can collect a more complete understanding of what took place and how it has somehow shaped the larger current world. Also perhaps, even glimpse in some small way, the dreams and aspirations of where they are all going. The Huron county museum as my brother in law Gary Bennie tells me, “is probably the best museum west of Toronto, in Ontario. 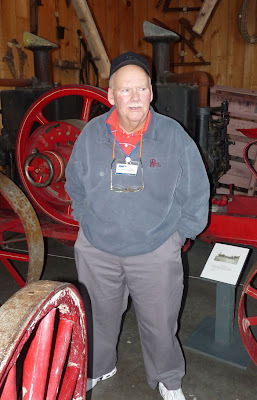 There is just nothing like it.” On a dreary day, between Christmas and New Years he offered my brother and I a personal tour of the place in which he has been volunteering over the past year. It turned out to be a hearty meal, that was nutritious intellectually, and left me both better informed about the region and very much satisfied. Gary takes his commitment to the place seriously and it becomes readily apparent even before you step through the doors that many selfless individuals over the years have worked hard at creating and maintaining the museum. 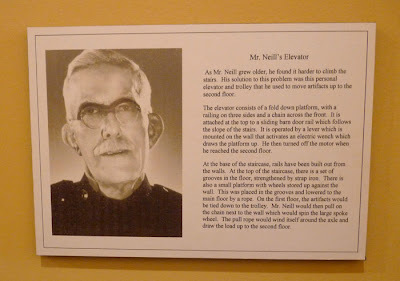 Principally of course the most significant contributor, and perhaps the one from whose vision the museum was able to come into existence at all, is J.H.Neill who was a lifelong collector of artifacts from the region. 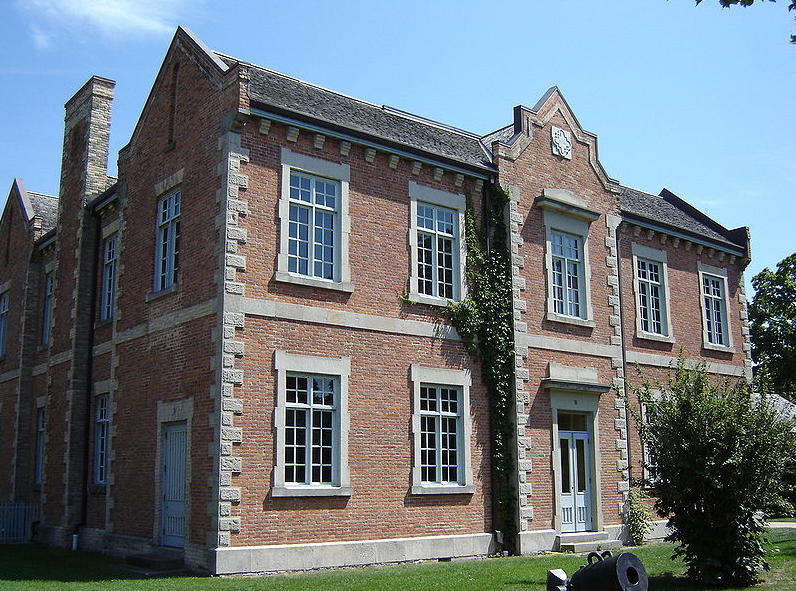 It was due to his passion and diligent collecting that the museum was able to open in 1950 in the Goderich’s old central public school building. Prior to locating in a permanent structure he first stored his collection in a mobile trailer. Which was described by the London Free Press in 1940 as, “Herbie Nell, 63 year old jack of all trades has just finished the wildest whim of his versatile imagination, museum on wheels. If there is anything like it elsewhere in Canada it is doubtful. He had something like 4,000 artifacts. When the school closed in 1950 he was allowed to establish and act as curator for the next 15 years. Since than it has expanded substantially and a larger new structure is fitted in and around the old school. The presence of Neill can be felt and experienced almost at every turn. Not just an ardent collector he was very much an artist and inventor of sorts as well. One humble display contains the first item he ever collected, a tallow candle holder. Over time many others in the region have also passionately dedicated themselves and their own personal collections to the gradual expansion of the museum. The museum itself attempts to show how, from being in the 1830’s, as Pierre Burton once described the country, “a green jungle.” To eventually become a thriving community. One in which salt and shipping still play an important role. "I believe profoundly in the importance of museums; I would go as far as to say that you can judge a society by the quality of its museums. " — Richard Fortey a Palaeontologist at the Natural History museum in London. 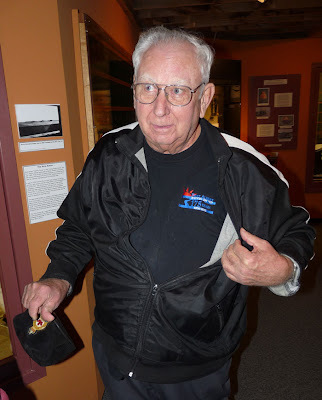 As if to demonstrate how dedication and passion continues to help the museum thrive we just happened to come across Eugene McGee on the second floor. 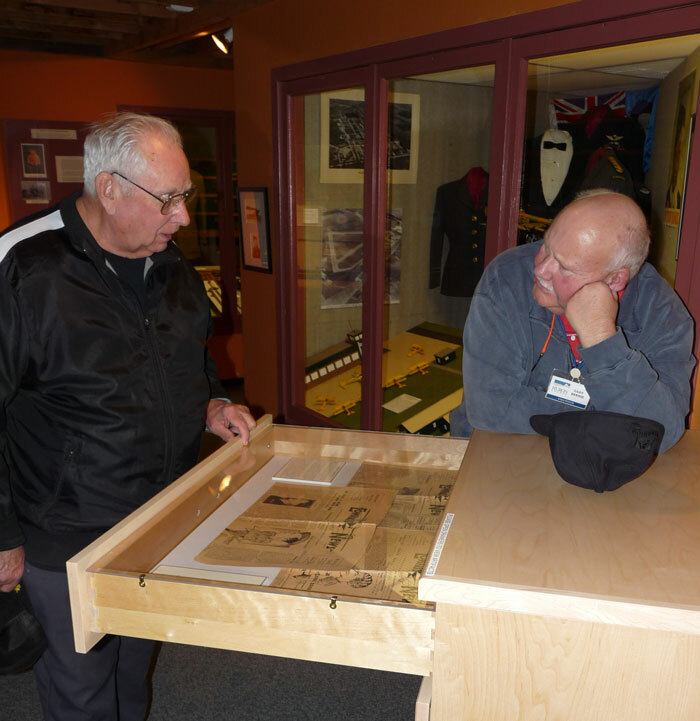 He was eagerly examining his own collection of World War 2 memorabilia that he donated and is now on display in the military section of the museum. As a young man living in Port Albert he was profoundly impressed with the air navigation school that quickly sprang up there after an RAF facility in Wales was destroyed by German bombers. He has meticulously collected uniforms and insignia and as many bits of the life of the base at the time that he has managed to get a hold of. The years that included World War 2 were just a brief moment in the grand scheme of time for this part of Canada. But for a 10 year old boy living on a small Ontario farm in 1940, it impressed upon him not just the grand dimensions of the world beyond Port Albert. 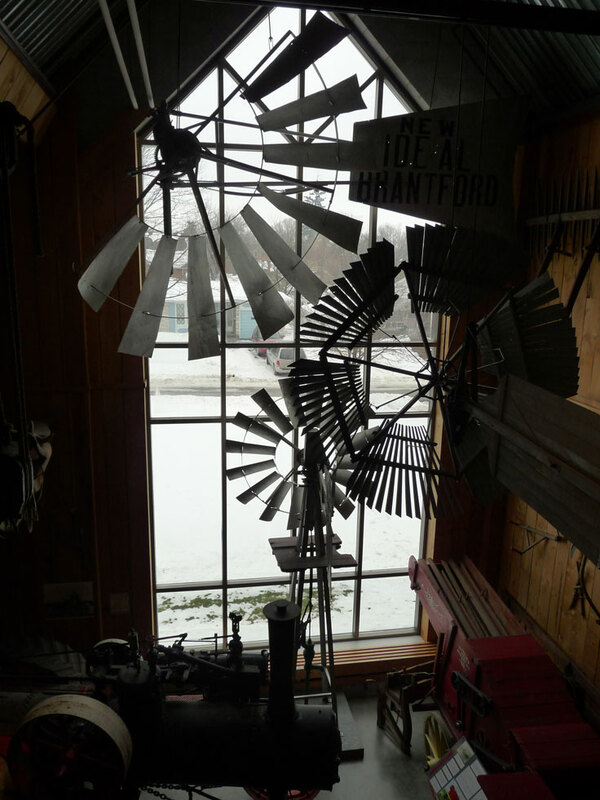 But also how a small rural Ontario community can be shaped by events on the other side of the globe. At the same time his Port Albert air base would play a pivotal role in the history of the world at large. 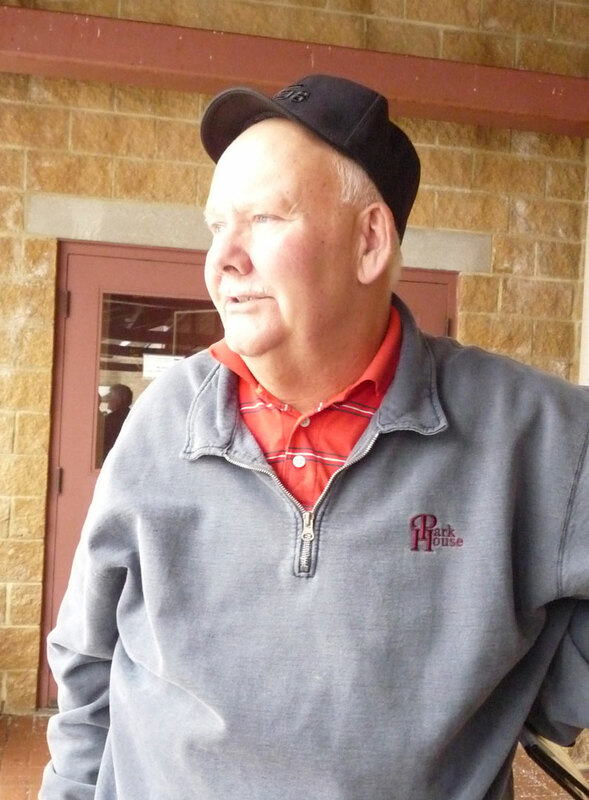 He tells us that he has much more to his collection but like many ardent collectors knows the museum can never be able to house all the marvelous bits and pieces of history collected in peoples front rooms and sheds. Yet the walls of even the biggest and best museum can only store and display just so much. 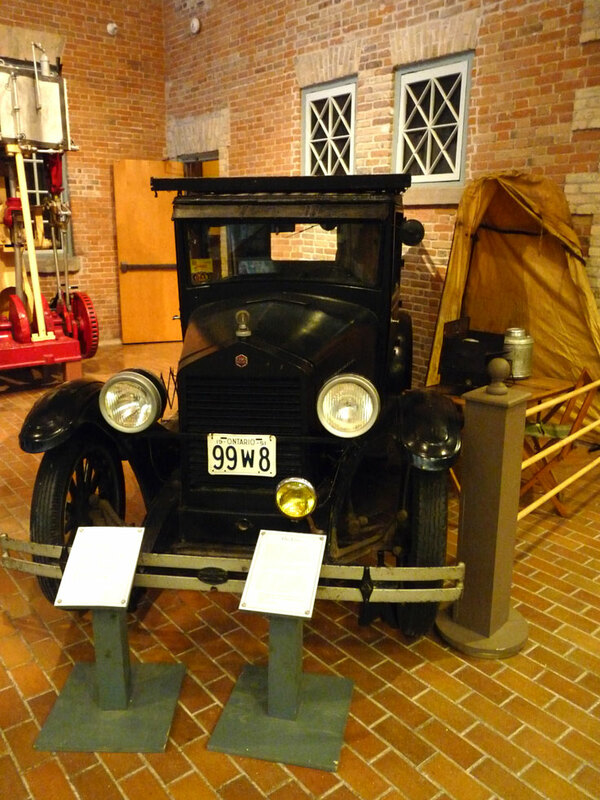 The Huron county museum is the little museum that accomplishes a lot. 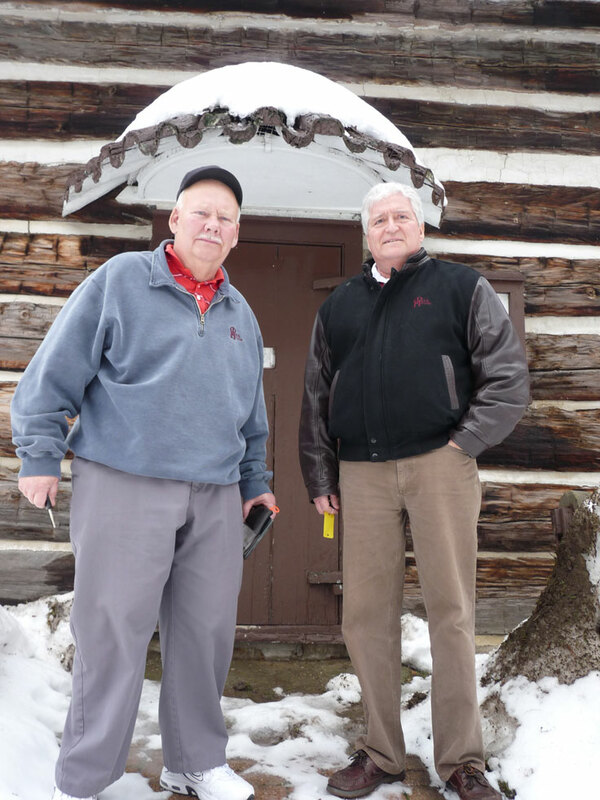 For the historical enthusiast you can dredge a seamless timeline that stretches back 200 years of Huron county history. Understand the development of a part of the country, that though unique in many ways, mirrored how much of the Canadian wilderness became tamed and developed. See how great events like storms and wars touched the lives of those who lived through them or were consumed in a flash. Yet also see how life prevails nonetheless and no moment is inescapable from change. Walking through the Huron County Museum one sees that there is something there for everyone. It is not so vast that one becomes overwhelmed and yet not so small one hungers for more. It is well maintained and if tours are regularly conducted as by my brother in law Gary they are informative and entertaining both. I ask him if there is one thing that most people do more than anything else when visiting the museum. At the time we are in the large hall were a full size steam locomotive dominates the space with its sheer black steely mass. He tells me that when school trips come the kids just love ringing the train’s bell. Eager to take part in one of the museum’s favorite activities I climb the steep black steel steps of the engine. I look back down at him to make sure that it is okay. He nods with warm brotherly approval. With one firm pull of the rope a most satisfying ring of the bell bellows, with the delicious volume of a resounding full bodied fire alarm. I picture the sound rolling across the quiet green fields of the country side as it must have done for many years. The steam engine chugging and billowing puffs of smoke into boundless sky while all the while rolling on a rusty trail of steel not far off. I feel an unavoidable child like smile spreading across my face. I look down and see that he is smiling as well. He has not yet grown too tired of those who love to ring its bell and help those who want to take a trip through time. Absolutely wonderful... Both the article and the men. Without knowledge we are nothing. Keep learning.